On the 69th anniversary of the UN charter, our work to affirm these principles continues at home. Between 1972 and 1991, Chicago police under the direction of former Commander Jon Burge systematically tortured more than 100 people of color on Chicago’s South Side. During Burge’s reign of terror, over 110 African American and Latino men and women were subjected to electrical shocks on their genitalia or other body parts with a handmade shock box or cattle prod, suffocation with plastic bags, beatings with rubber objects or telephone books, and mock executions. 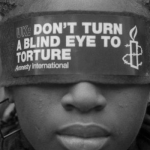 The vast majority of the torture survivors were also subjected to verbal abuse where they were repeatedly called racist slurs and epithets throughout their interrogations. These heinous acts of torture were committed in order to extract confessions; confessions that were used to wrongfully convict scores of people. Eleven survivors of Chicago police torture were sent to Illinois’ infamous death row. This history of brutality is why Chicago has been dubbed by some as the Abu-Ghraib of the Midwest. Today, many of Burge’s torture survivors and their families continue to suffer from the psychological effects of the torture they endured. They have never received adequate compensation or assistance. Because of the statute of limitations, survivors have no legal recourse to obtain any redress, whatsoever. Moreover, there are approximately 19 survivors of torture under Jon Burge who continue to languish behind bars. They have never received evidentiary hearings to present evidence that substantiates their claims that they were tortured into confessing. 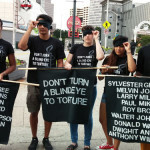 After decades of litigation and numerous governmental investigations, there is overwhelming evidence that unequivocally demonstrates that the City of Chicago effectively condoned Jon Burge’s use of torture by failing to put an end to the systematic use of torture to extract confessions and/or trying to cover it up. It is time for the City of Chicago to accept responsibility for these human rights violations and make amends to all of those whose lives were so harmed by them. 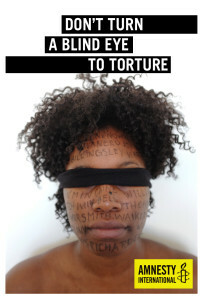 Twenty years after allegations of torture first came to light, Chicago can take a historic step forward by passing and enacting the Burge Torture Reparations Ordinance, currently pending in Chicago City Council. The Ordinance seeks to provide financial compensation, psychological and vocational counseling and other redress to the torture survivors, their family members and communities impacted by the systematic torture committed by Jon Burge and the detectives working under his command from 1972 through 1991. The reparations ordinance has sat in Chicago’s City Council for over a year. Mayor Rahm Emmanuel has apologized for the torture that was committed and said it is a “dark stain” on the City. He has also acknowledged the torture survivors are entitled to some redress, but thus far he has taken no steps to urge the Chicago City Council to pass the reparations ordinance. Now is the time for Mayor Emmanuel to pave the way for the Reparations Ordinance and ensure the City of Chicago is complying with its international obligations under the UN Convention Against Torture. Please join CTJM and AI on October 24, 2014 in tweeting at @ChicagosMayor and @RahmEmanuel. Demand that he walk the walk and not just talk the talk with the hashtags #StopTorture and #RahmRepNow. This entry was posted in Prisoners and People at Risk, Torture, United Nations, USA and tagged Chicago Torture, stop torture, torture, Write for Rights 2014 by Guest Writer. Bookmark the permalink.